We raise awareness about red squirrels and how they are threatened if nothing is done to help them. In this way we aim to gain financial and practical support for our work to protect red squirrels. We go to many local shows and events>> throughout the year, hold public meetings and give talks to ensure that our message reaches as many people as possible. We look for publicity through the media and by publishing leaflets, a newsletter>>, this website and a Facebook page>> We work with other conservation organisations>> to ensure that red squirrel conservation remains high on the agenda and to develop a shared approach. 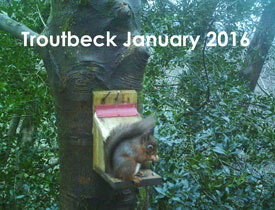 Without grey squirrel control the chances of red squirrels remaining in our area are very slim. We cannot do this alone so look to local residents, large landowners, farmers, gamekeepers, foresters and many others to do what they can to control grey squirrels themselves, with our advice and support. In woodlands where this is not possible we recruit and train volunteers to carry out grey control. Where necessary we raise funds to pay for red squirrel rangers to cover any shortfall in volunteers. 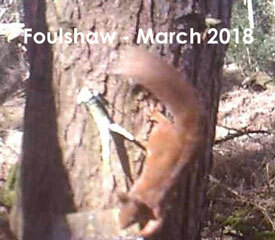 As a responsible conservation organisation we record our control work and red squirrel sightings. 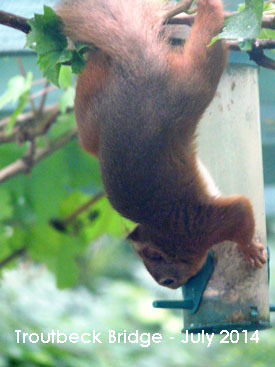 We submit our records to a database managed by the Red Squirrels Northern England (RSNE) project. We also participate in RSNE’s annual squirrel monitoring programme, which provides an essential scientific basis for red squirrel conservation.